We offer such affordable deals from Proms, Homecoming Dances and High School events with Dallas Prom Limousine Rental Services High School Transportation. We offer package deals for limos, party buses, and sedans for transfers, round trips and hourly vehicle rentals. The Limo is one of the most popular Prom options starting at 8-10 passengers. We will take the young couples to dinner, to their High School Prom Dance and back home safely. A Party Bus is requested the most for larger Prom Dance groups. With more space to interact, start the dance party early. Don't wait till the last minute, Party Bus availability goes fast! 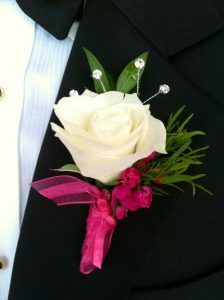 For the single couples, Luxury Sedans and Town Cars are a great inexpensive option for High School Prom Transportation. Don't need all the luxury of a Limo but have multiple couples? A Mercedes Sprinter Van is a perfect affordable option and seats 10-14 passengers. With individual seating starting at 20 passengers, book a Shuttle Bus for the mid size groups. Safe and reliable High School Prom Transportation. A Party Bus can only fit so many. A Charter Bus will fit up to 56 passengers so save some money and travel with everyone together to your next Prom.